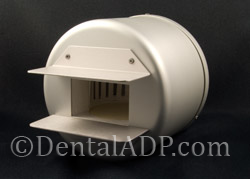 Ney 660 Mark II, Mark III, 115V - ADVANCED DENTAL PRODUCTS, INC. The quartz Even-Temp™ muffle’s improved design replaces the 50XVT muffle for the Ney 660, Mark II and Mark III furnaces. The Even-Temp™ muffle utilizes the most up-to-date technology and design. The state-of-the-art circular quartz chamber eliminates the cold spots and uneven heat experienced with the OEM non-quartz 50XVT design. Even-Temp™ muffles are warranted for one year.